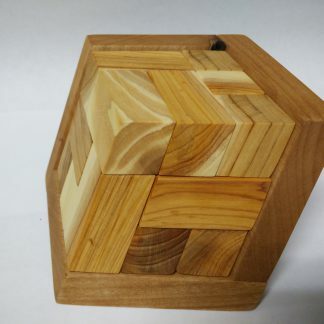 This is in the spirit of the original design my Marvin Solit but with my own “twist”. 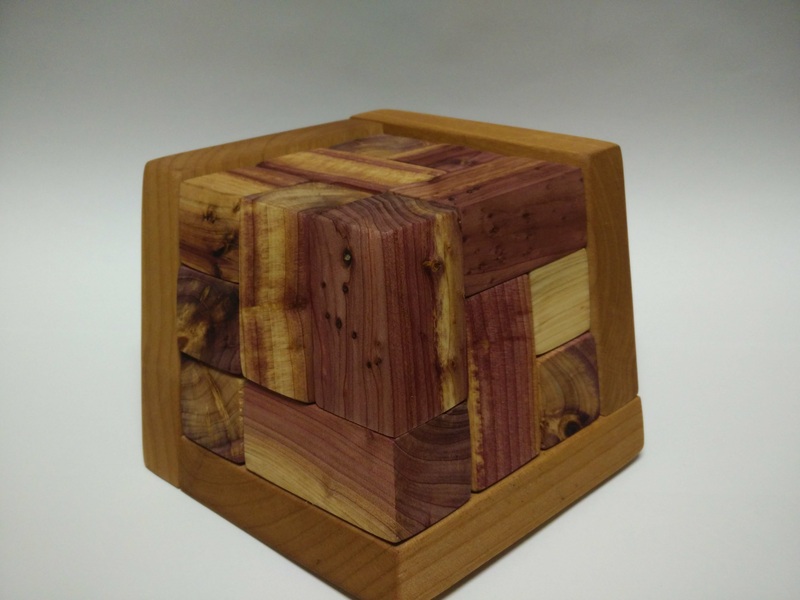 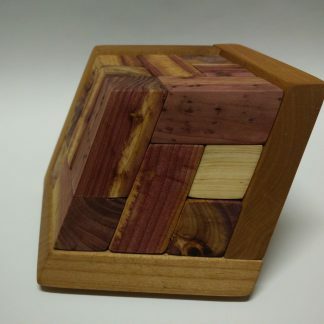 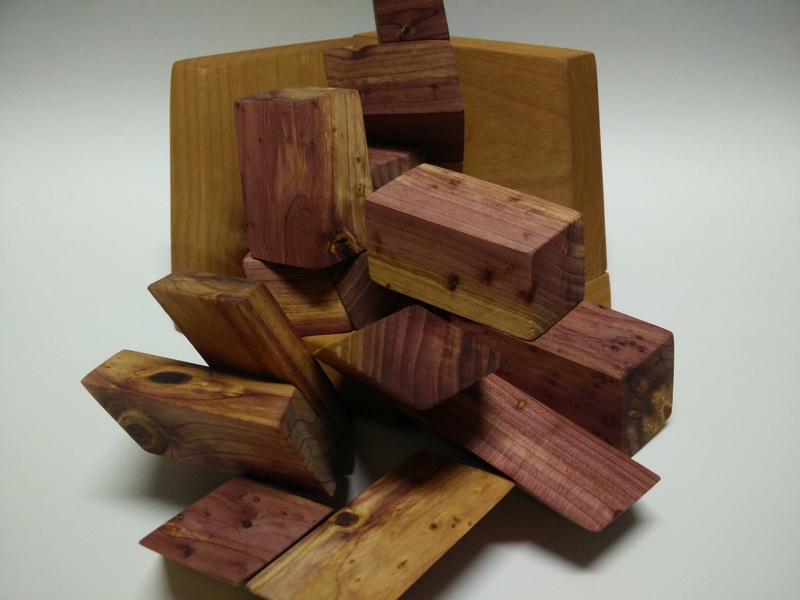 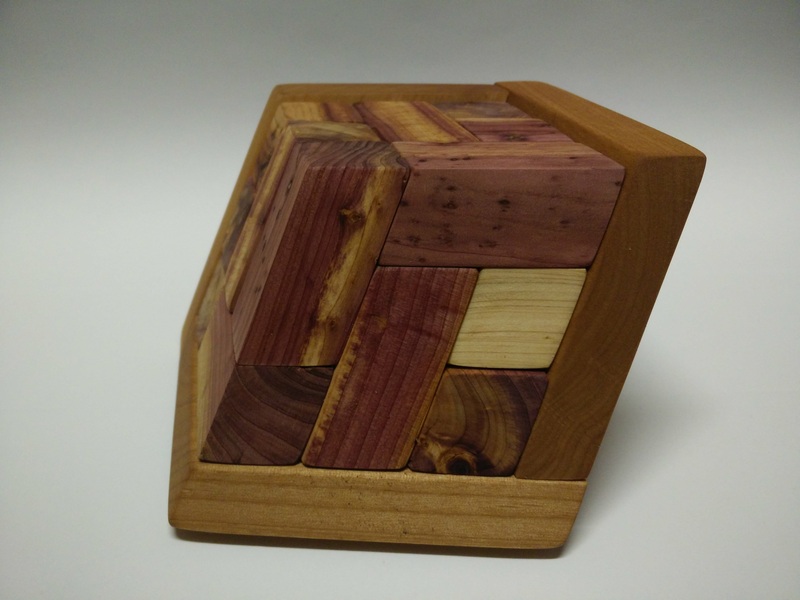 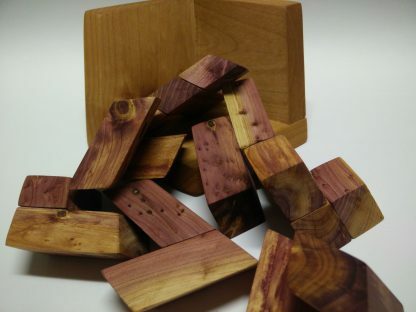 The puzzle pieces are made from standing cedar, the base from alder, both with a Danish oil finish. The standing cedar has a very unique look. It looks as if wine was regularly poured over it to achieve red stains throughout. 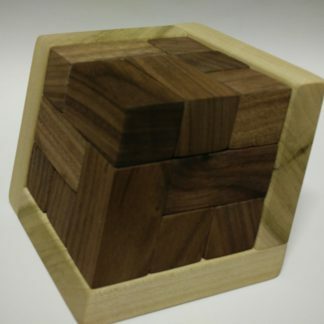 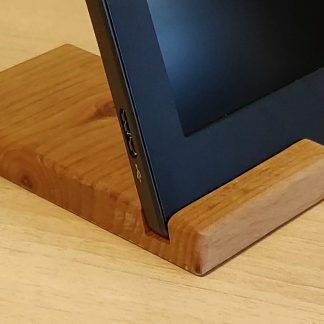 I only have enough of this wood to make a very limited amount and do not foresee ever working with this again as it was very difficult to get flat. 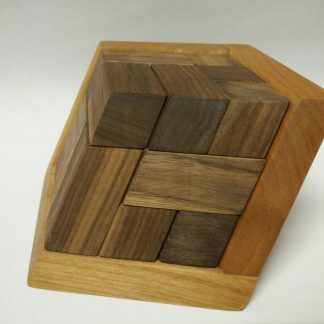 This is a wonderful gift idea for puzzle lovers.